Google has lifted the lid on its messenger app, Allo, a month after launching its video calling app, Duo. 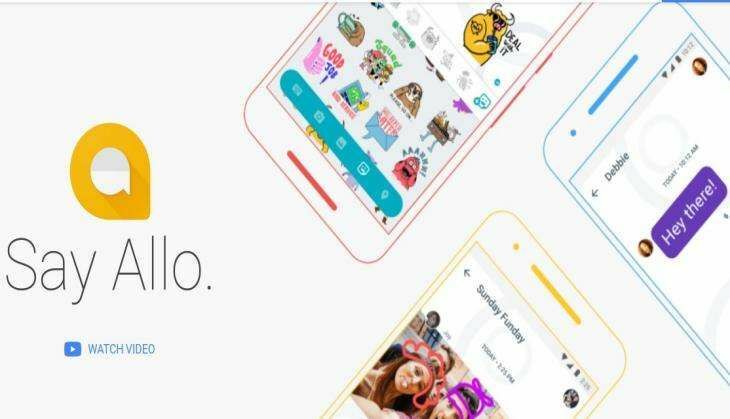 While Google Duo took on Skype, Allo will prove to be stiff competition for messaging platforms like WhatsApp. With just a tap, Google Allo will send an automated message in order to help users respond to messages faster. Smart Reply will also suggest responses for photos. If a friend sends a photo of their pet, you might receive a suggestion like "aww cute!" as a smart reply which you will be able to send with a tap on the suggestion. Google Allo reads and learns from the conversation and will work to customise suggestions to match your taste. The app allows users to determine the size of their emojis and the size of their fonts by using the send button. What's more, you can also make your photos truly your own by scribbling messages or designs on them with the inbuilt sketchpad. Google Allo has worked with independent artists and studios around the world to provide more than 25 custom sticker packs. Because as Google says, because sometimes a "sloth riding a pizza" says it all. Google Allo allows users to converse with the Google assistant - a first of its kind initiate in the Google products bouquet. No need to leave your chat window to search for an address. Look for a YouTube video or pick that perfect restaurant for a meal by just typing @Google - all in the middle of your conversation. All chats in Google Allo are encrypted using industry standard technologies like Transport Layer Security (TLS). That means only the sender and recipient can read the messages. Anyone who tries to intercept them will only see a jumble of characters. In another exciting feature, Allo will also hide the name of a person sending you a message, to allow for discreet notifications. You can also erase chat history by setting the expiration anywhere from five seconds to one week.